As you read this, I am in Rome, probably eating a big bowl of pasta followed (and likely proceeded) by gelato (sorbetto al melone is my fave). When in Rome, right? But in a couple of days I will probably be wishing I had packed elastic-wasted pants and be seeking out the rapini and artichokes side of Italian food, and dreaming about this very salad. 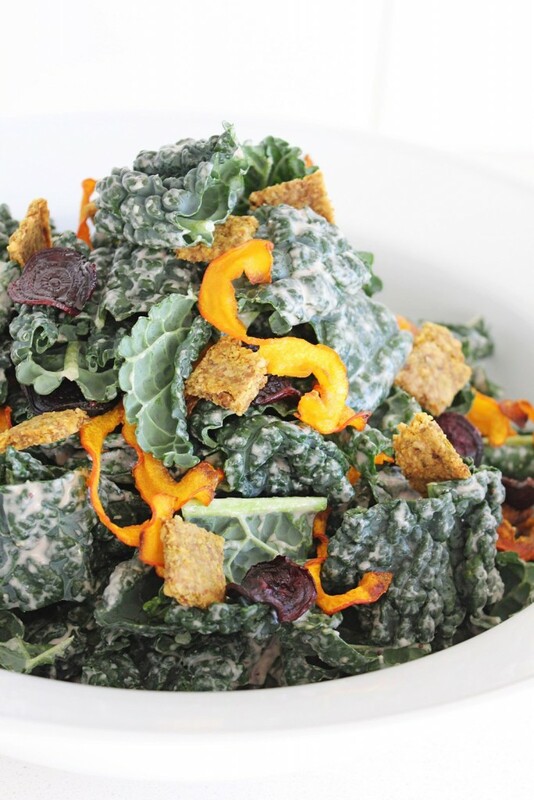 It has all of the things to balance out a decadent holiday season (it’s kale salad after all), while tasting hearty and decadent itself. 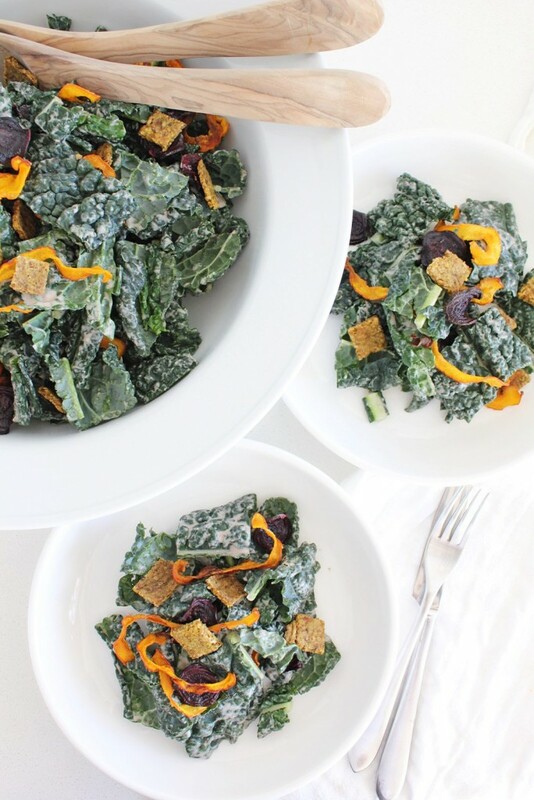 The croutons alone are going to make your time in the kitchen worthwhile. Thanks to some briny green olives and fatty walnuts, they are salty, rich and crisp, the way that croutons really should be. 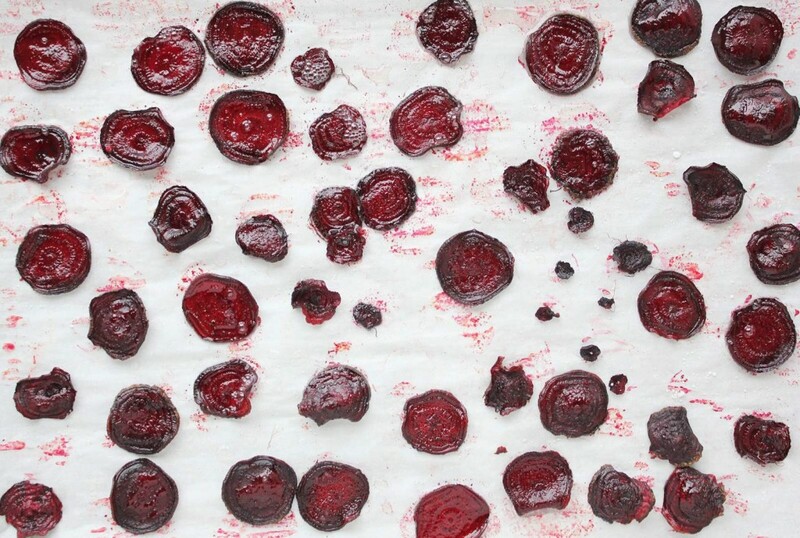 You can bake them in your oven or if you have a dehydrator and would prefer to keep them raw, that works beautifully too. (These insanely good smashed chickpea croutons would work well too, if you’re short on time). The salad still tastes good without them but the croutons might be the reason two of us polished off the entire salad in one sitting (I have no idea how many people it should actually feed but I think I put four people in the recipe section, which is probably quite reasonable). The veggie chips add sweetness to offset the bitterness in the kale and a bit of texture too. They aren’t as crisp as the croutons but the flavour they bring is important, and those colours! 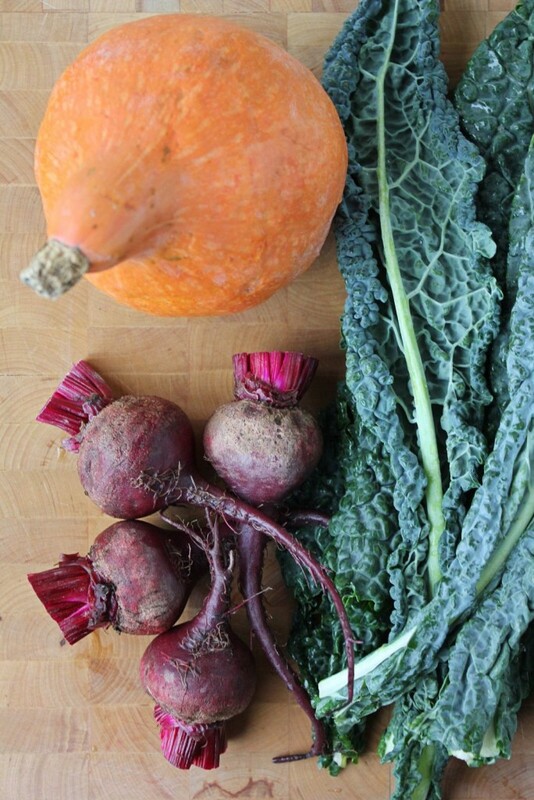 They look so pretty and bring on board all of the nutrients that those bright pigments represent. If you don’t have a mandoline slicer and working on your knife skills isn’t on your new years resolution list, you can also just dice up (like, in a messy, imperfect way) the veggies instead of slicing them. If you do this, you’ll just have to roast them a little bit longer, until they’re cooked. 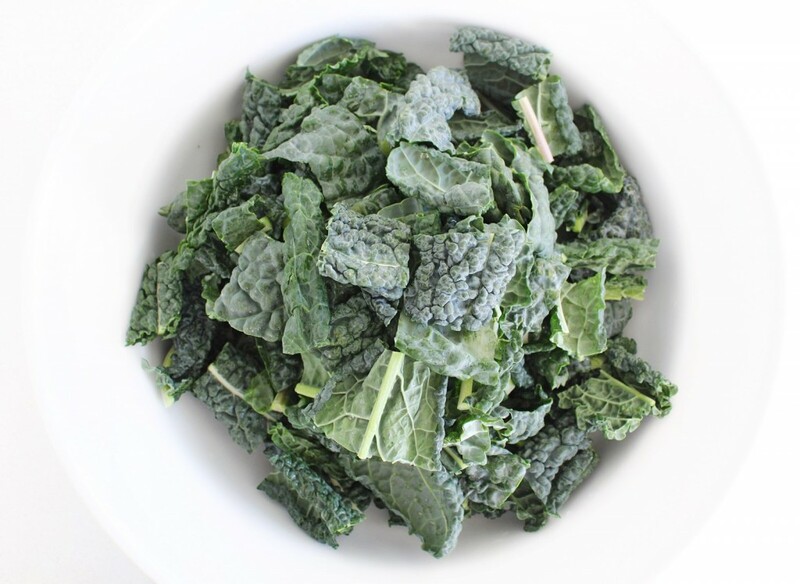 You could sub in other greens for the kale, but this is one of the most delicious ways to eat kale, and in the interest of rotating your greens, totally worth subbing the kale out of your morning smoothie instead, just so that you can have this later in the day. This salad would also be delicious made with frisée, mustard greens, and radicchio though (all bitter, robust and full immune-boosting powers). 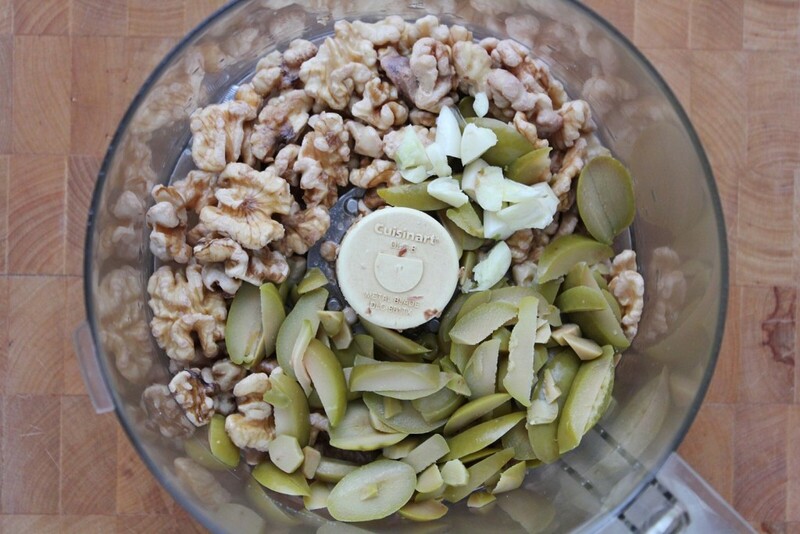 The dressing is creamy and oil-free but doesn’t require any nut/seed soaking because we use tahini as the base. We also add a good amount of dulse, which gives it an umami-ish je ne sais quoi (I’m so European right now) and also offers some major minerals including iodine, which can be difficult to get into our diet naturally. One of the great things about kale (besides its cancer-crushing glucosinolates, which are released more, the more you chew/chop it) is that once dressed in a salad, it’s still good on day two (not wilty and weepy). So, although you’re going to want to, you don’t actually have to eat this all in one sitting. Your tomorrow self will be so happy around lunchtime with these leftovers. 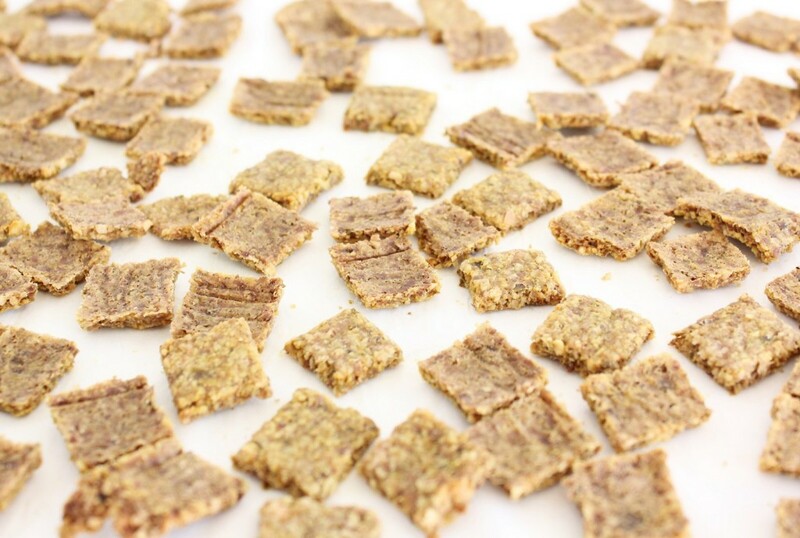 In a food processor, grind up all of the ingredients EXCEPT for the psyllium. When it is coarsely ground and well blended, add the psyllium and blend until well mixed. 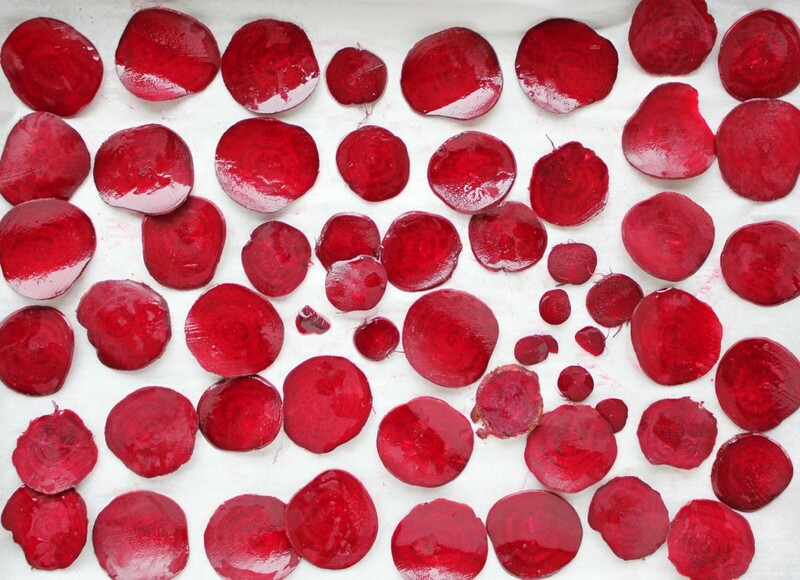 Dump out onto a piece of parchment paper and roll it out to just under a centimeter thick. Using a pizza cutter or a butter knife, cut it into squares (without cutting through the parchment). 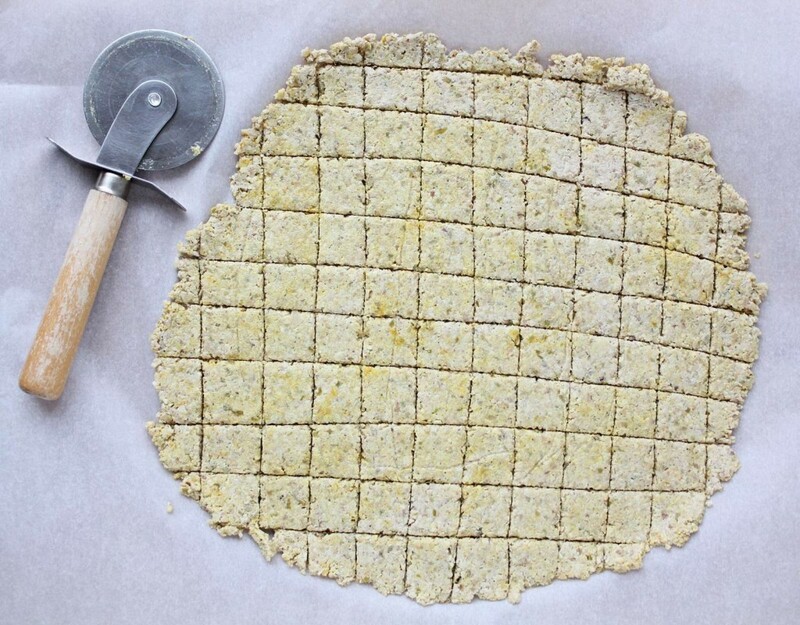 Transfer the entire piece of parchment with the rolled out squares onto a baking sheet and bake for an hour. Remove form the oven, separate the squares and turn them over and bake for another 30-60 minutes or until they are dried out. 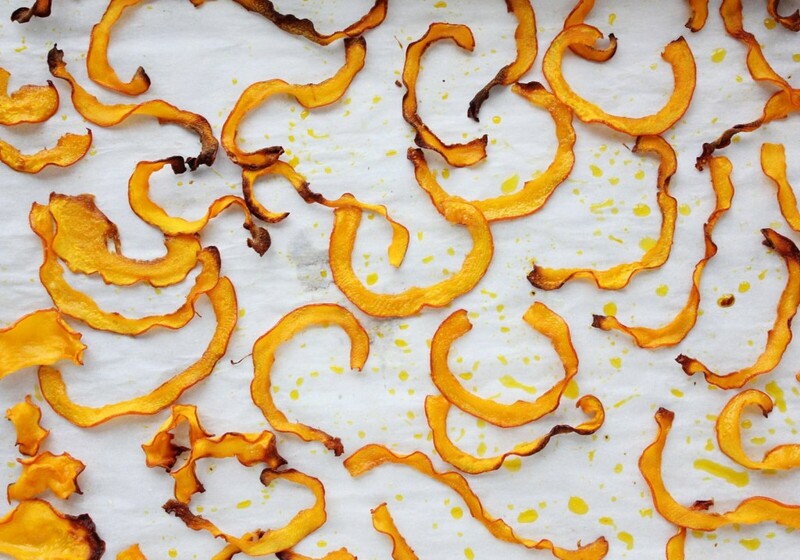 Put a Tbsp of extra virgin coconut oil on each and put the baking sheets in the oven for a minute to melt it. 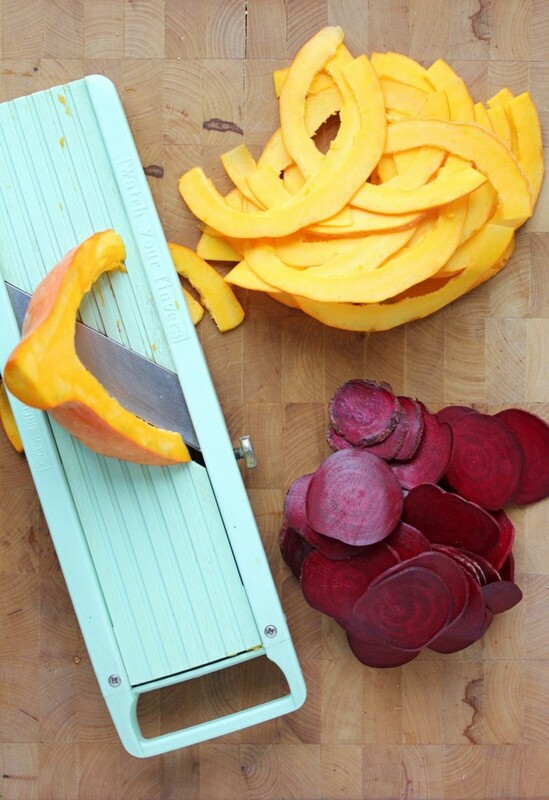 Put the sliced squash on one sheet and the sliced beets on the other. Toss them around evenly in the melted oil. 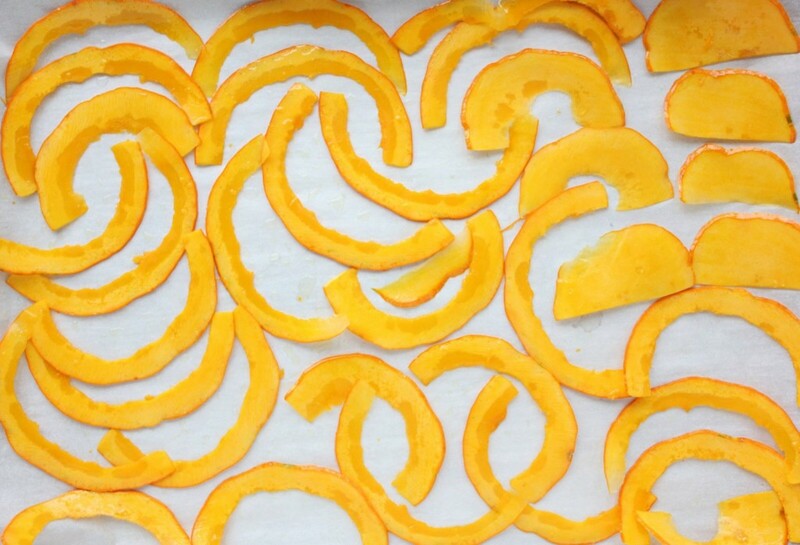 lay them out on the baking sheets so that they are not overlapping. Bake for 30-40 minutes or until crispy but not too brown. Meanwhile wash and dry the kale. Toss with the dressing and crispy chips and top with the walnut croutons. Blend all ingredients together in the blender until very smooth. Use right away or cover in the fridge for up to a week.